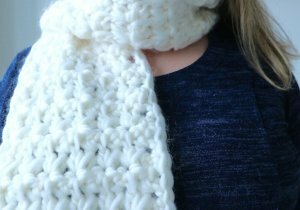 I recently shared my snowflake scarf pattern which uses chunky roving wool to make up a fluffy and warm scarf perfect for winter. What I didn’t share is that I have wayyyy more of that yarn than I should have. 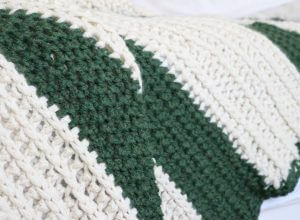 We actually bought enough of that yarn to make several blankets as Christmas gifts, but when time got tight we decided to switch to smaller projects. And as much as I love that scarf pattern, a girl can only make so many scarves before boredom takes over. Amiright?! And so with the large excess of wool yarn in our home I decided to make some crochet beanies! 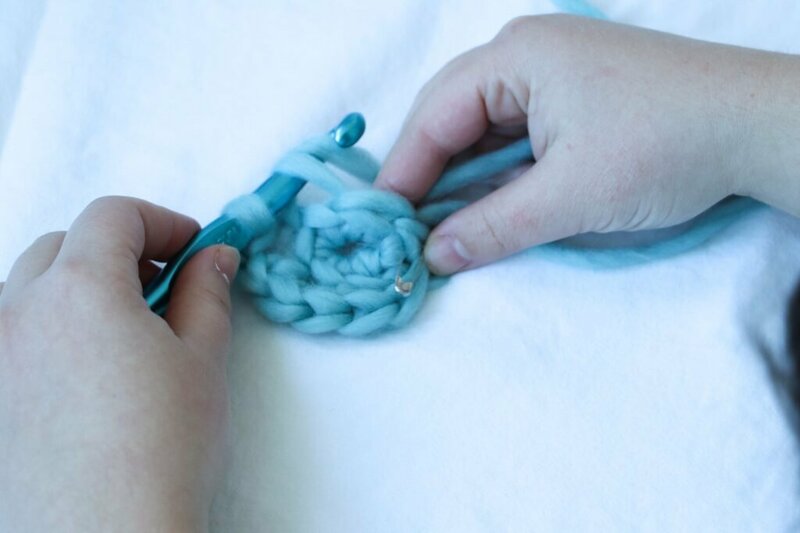 Crochet beanies are fun, easy, and useful crochet projects that can be done in a jiffy. 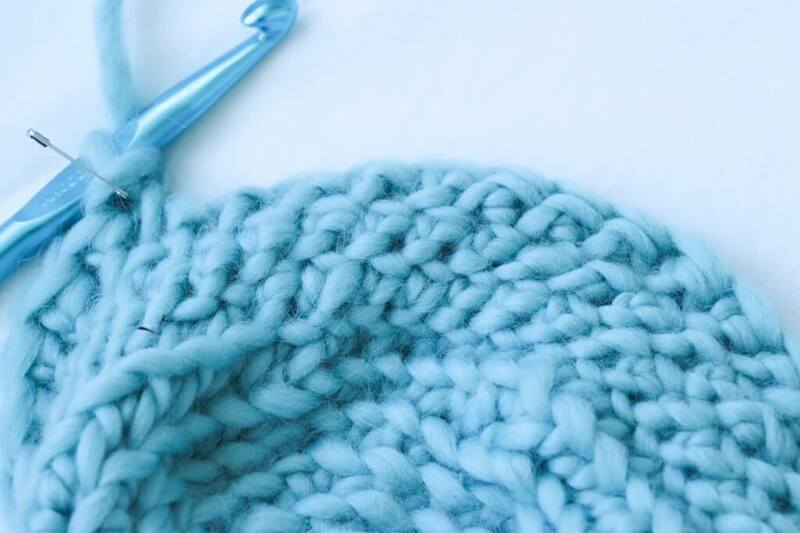 What’s amazing about this particular beanie pattern is that it’s a simple play on the basic single crochet beanie. 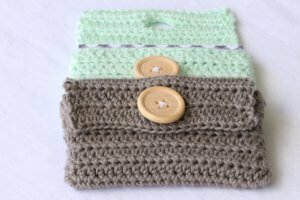 It looks more complicated than it is (hence the name deceptively simple crochet beanie pattern), and is a great beginner project! I hope you enjoy! 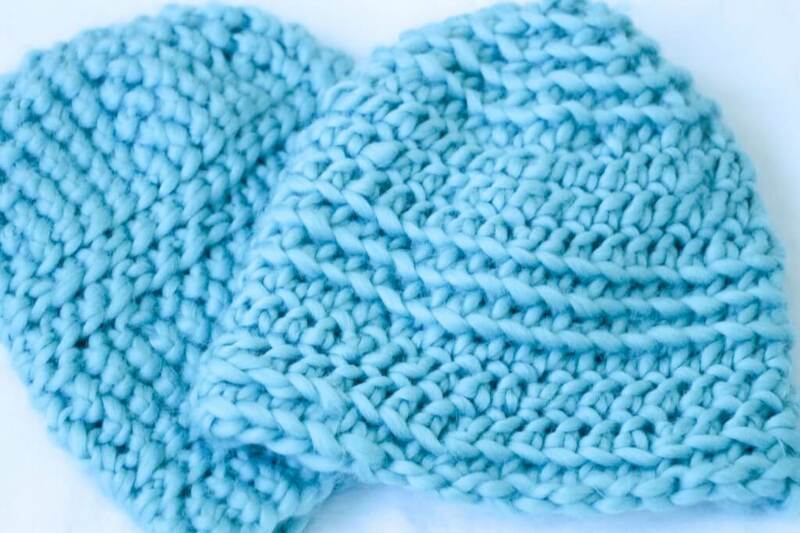 Note: this pattern makes one standard adult size beanie. 1 sc through the back loop in each sc of previous round. move marker. 1 sc through the back loop in each sc of previous round. move marker after the each round. 1 sc through the back loop in each sc of previous round. 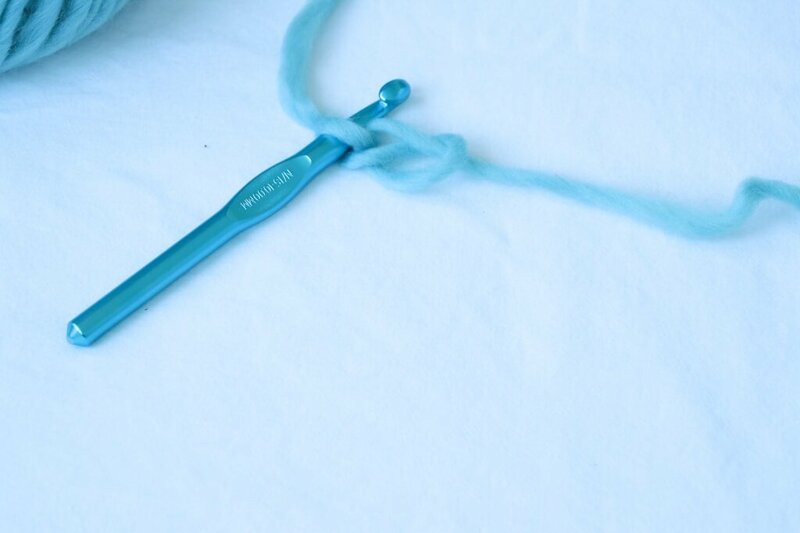 Cut off any excess yarn with yarn cutters. Weave in ends and block. Do you like this pattern? Let us know what you think in the comments! 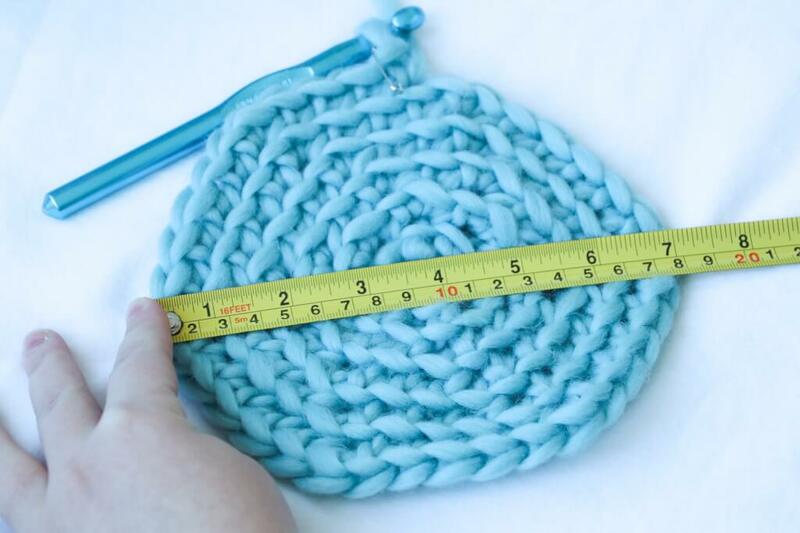 I’ve wanted to crochet one for a long time. Maybe now I can finally get it done prettily. 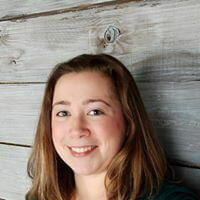 Want a year of DIY Ideas? 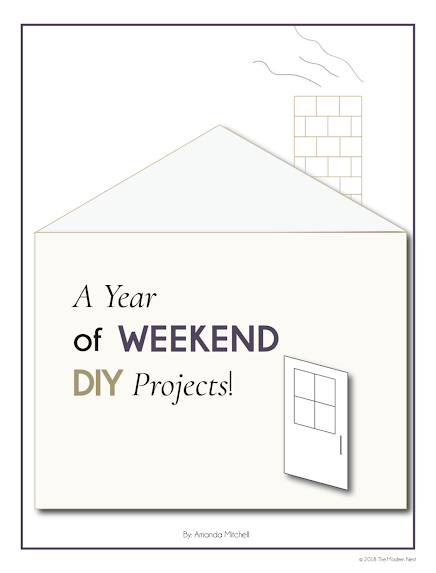 Grab my year of weekend DIY projects cheat sheet, the perfect resource to help you improve your home even when you are short on time. 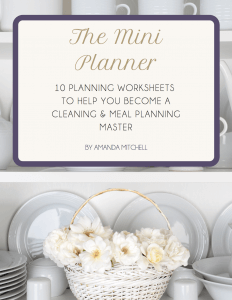 Simply opt-in below and you will receive the cheat sheet right in your inbox!